Steel Will SMGF4511-BRK Intrigue Linerlock black by Steel Will at Kerinci. MPN: SMGF4511-BRK. Hurry! Limited time offer. Offer valid only while supplies last. 4.75'' closed. 3.63'' satin finish D2 tool steel blade. Black textured FRN handle. Extended tang. Pocket clip. 4.75" closed. 3.63" satin finish D2 tool steel blade. 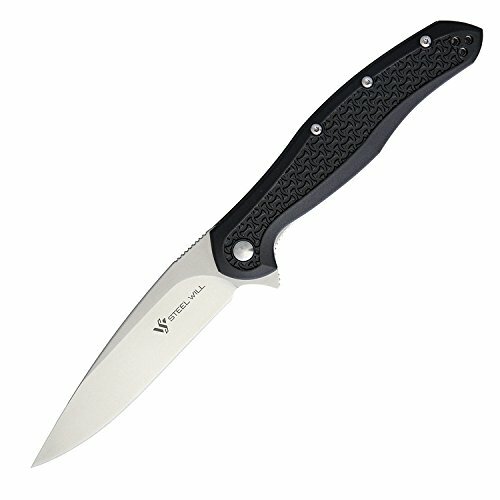 Black textured FRN handle. Extended tang. Pocket clip. Boxed.